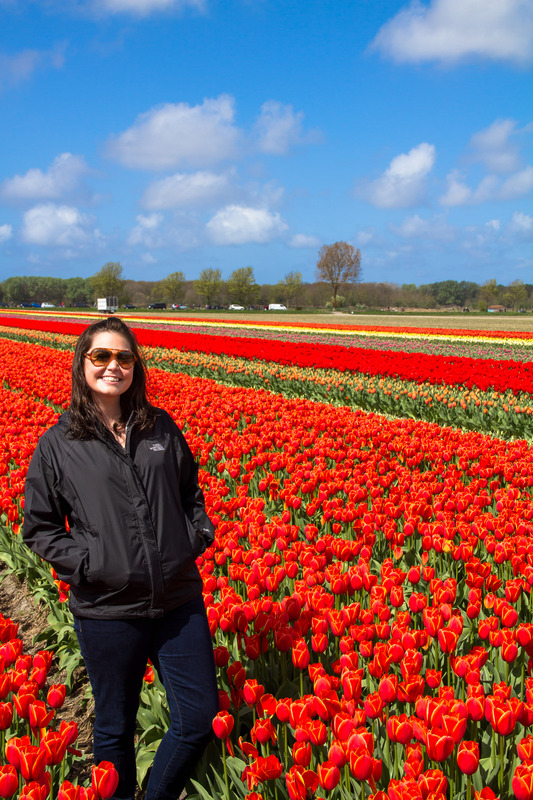 As we are only a few months from the end of our Dutch adventure (insert sigh of disbelief and mixed emotions), we have created a little bucket list of things yet to do here in the NL. And as you may be putting together based on the title, we have been checking things off our list lately. I wanted to share with you a few highlights from the last couple of weeks. 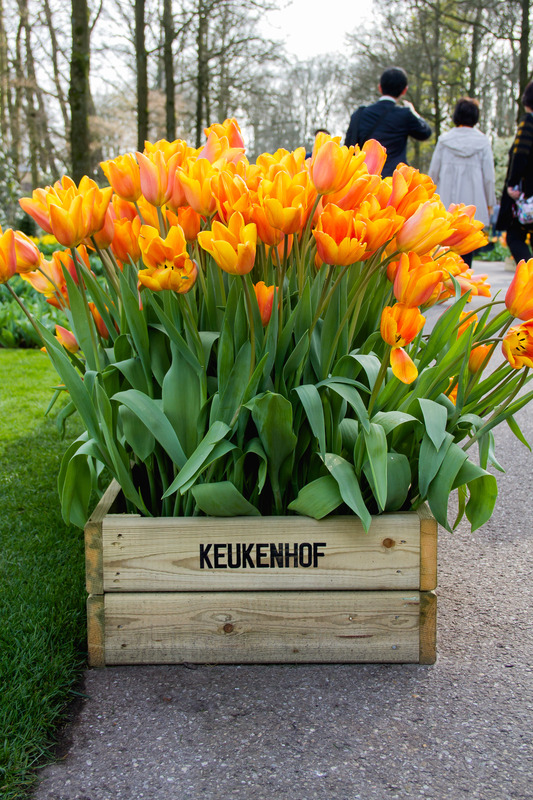 First up on the list, as I blogged about last year (twice), we visited the beautiful Keukenhof garden again this year. 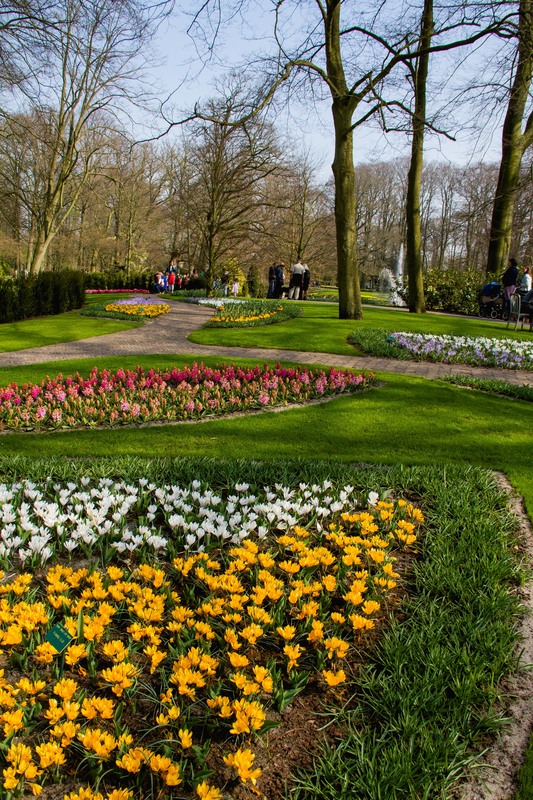 This garden is filled with millions of bulb flowers and it is a great way to spend a sunny weekend. We took in all the lovely colors for about 3 hours, and of course, we ate some delicious ham sandwiches…(this is how I get BC to go there.) Here’s a photo recap for you! 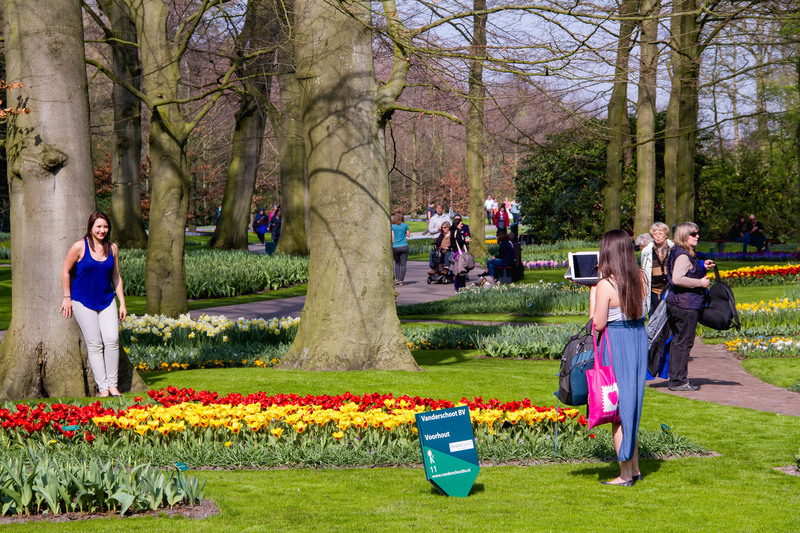 And don’t worry, we will be returning soon to see the garden in full bloom. This combines a few of our favorite things to watch 1 – awkward posing and 2 – tablet photography. BC getting closer to the windmill blade than I’d prefer. One of my favorite planters of the day. 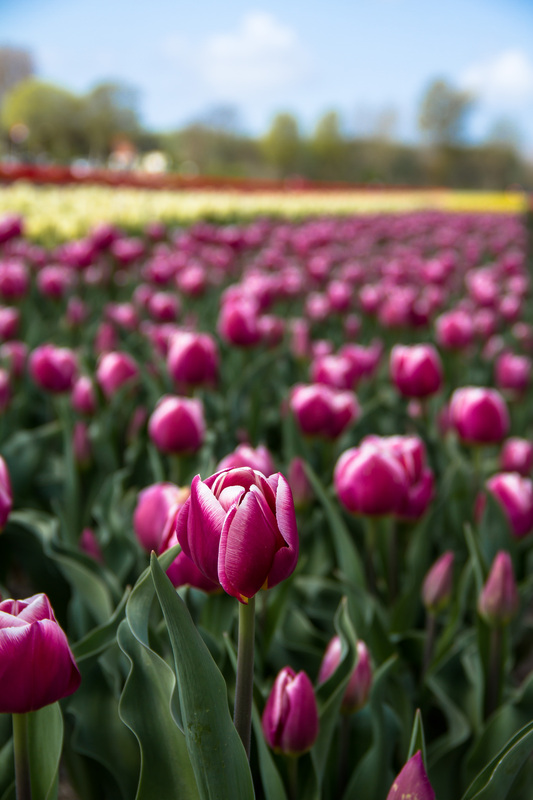 Hey, more tulips – crazy. 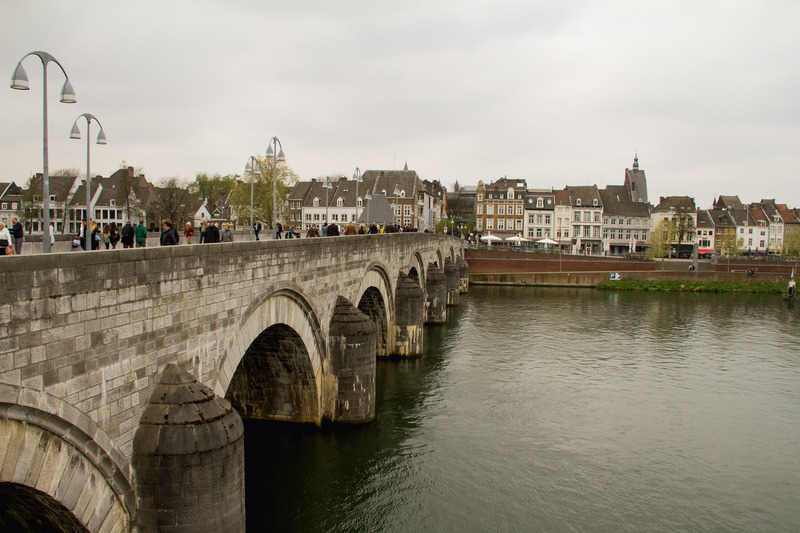 Next up on the list, a trip to Maastricht, the oldest city in The Netherlands. 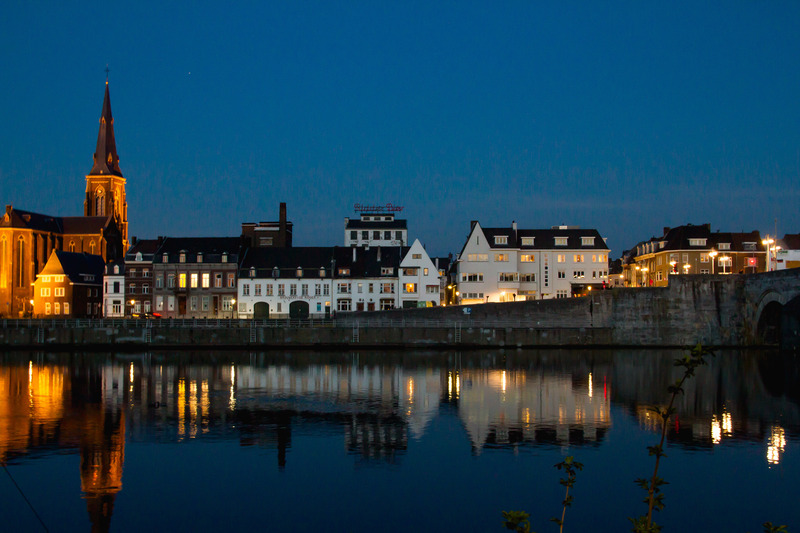 We arrived on a Saturday afternoon, and we set out to see the city. Our first stop was on a terrace for some snacks in the sunshine. 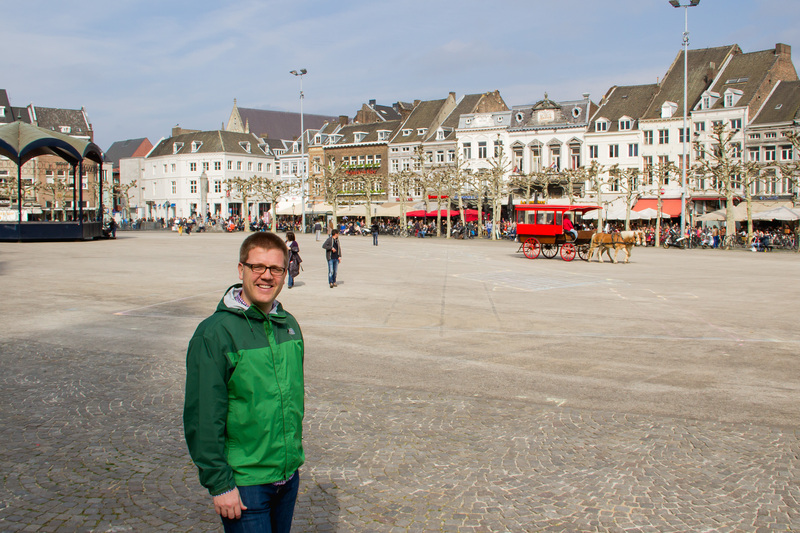 After refueling, we headed out on a self-guided city walking tour that took us through the historic city center to check out the churches, monuments and very old fortified city walls. 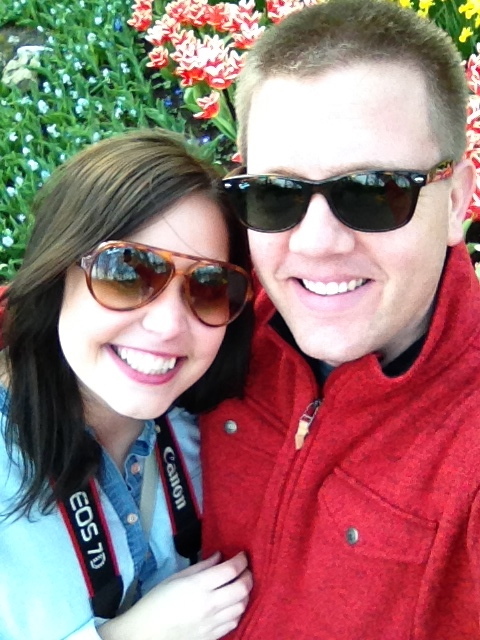 It was nice to do this at our own pace – BC is a great guide! 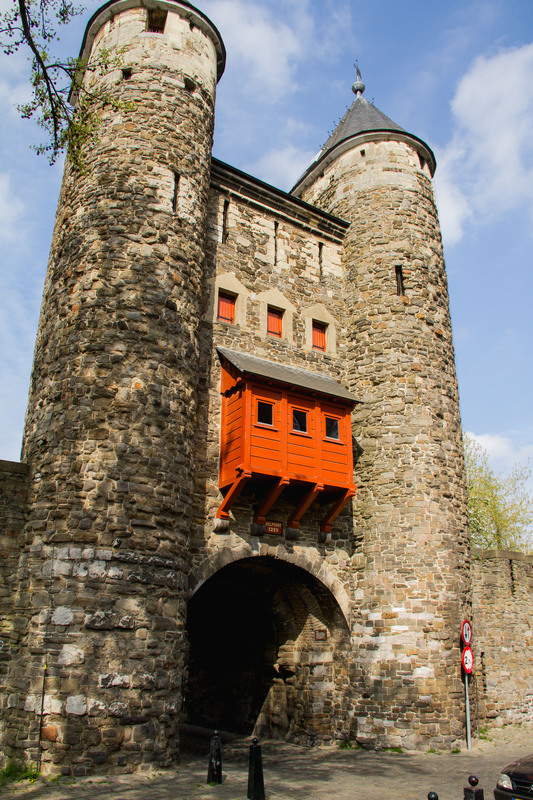 🙂 We really enjoyed the old city walls and the numerous large open squares. Here are a few photos! 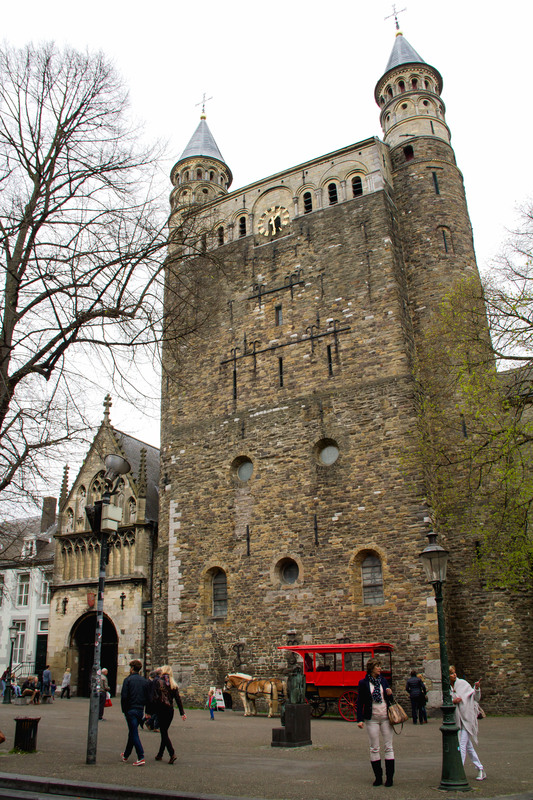 Onze Lieve Vrouwebasiliek (Basilica of Our Lady) – one of the oldest churches in the city. 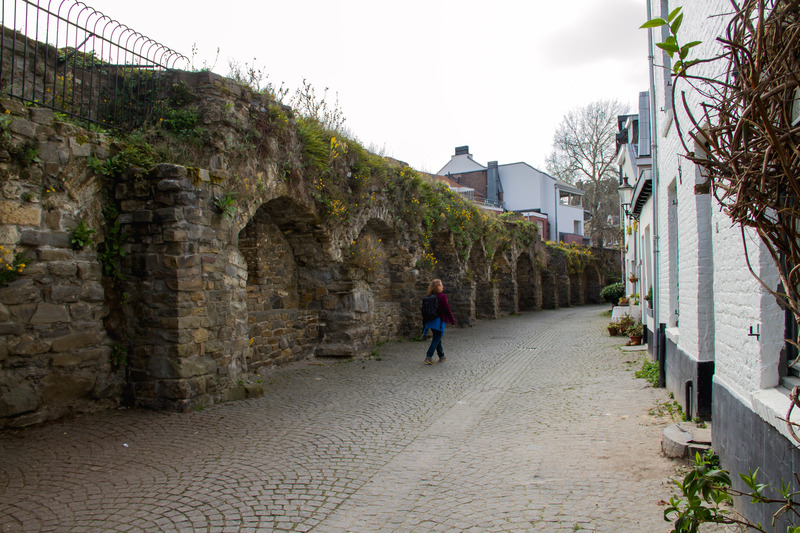 Hell’s Gate – the oldest city gate in the NL. 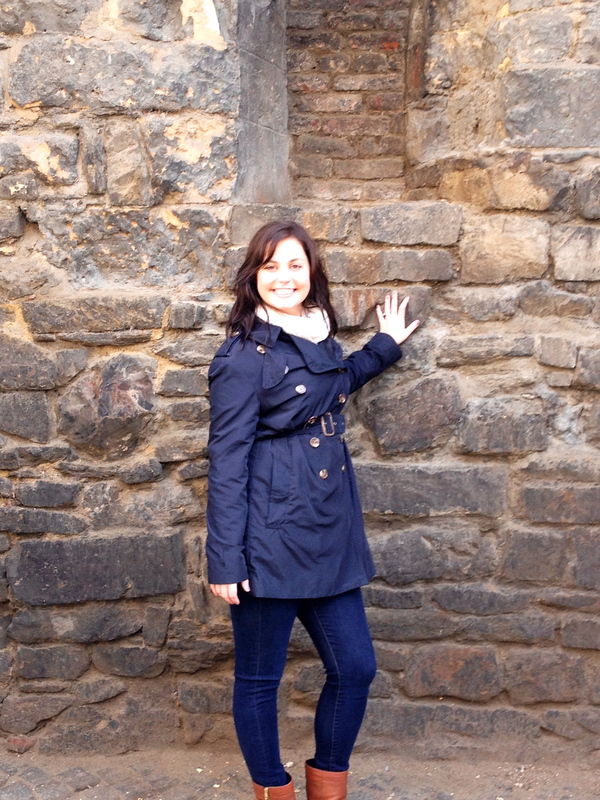 Taking a stroll along the old city wall. 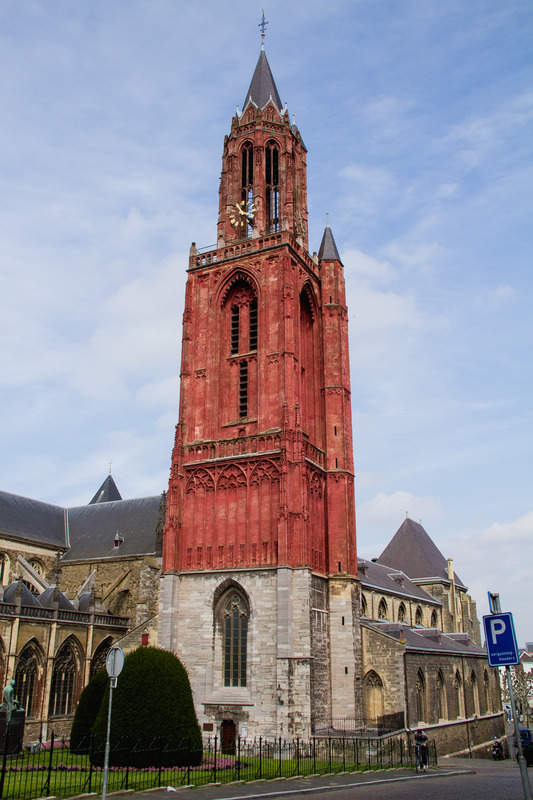 Church of St. John – it’s hard to miss this red tower! 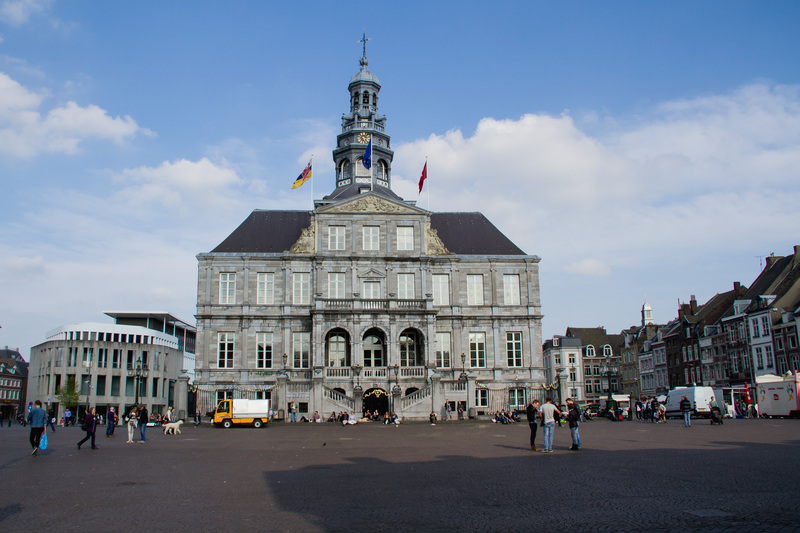 The Vrijthof square – on such a nice day this place was happenin! 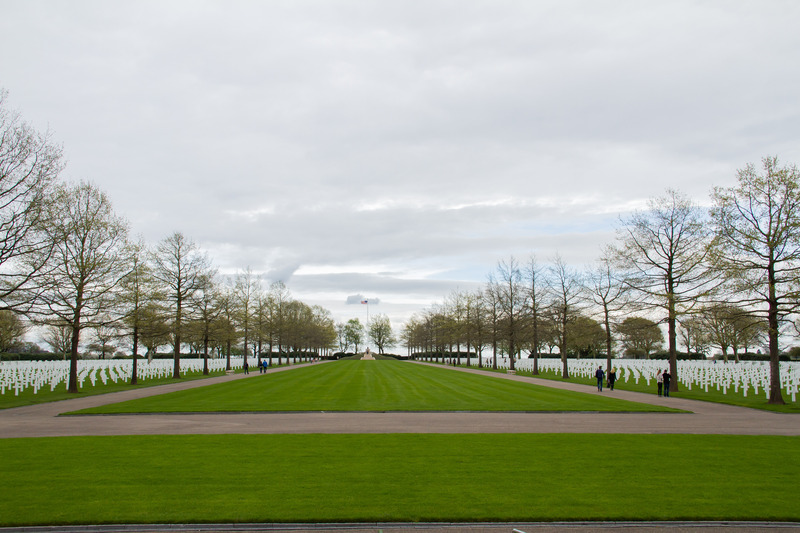 Then we headed out of town just a short way to the Netherlands American Cemetery and Memorial. 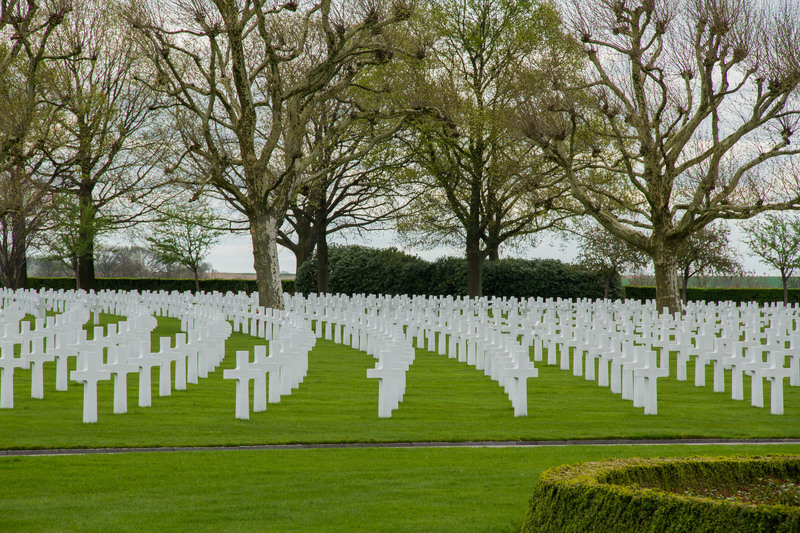 This is the only American cemetery in the NL, and there are over 8,300 Americans who died in the NL during WWII buried there. 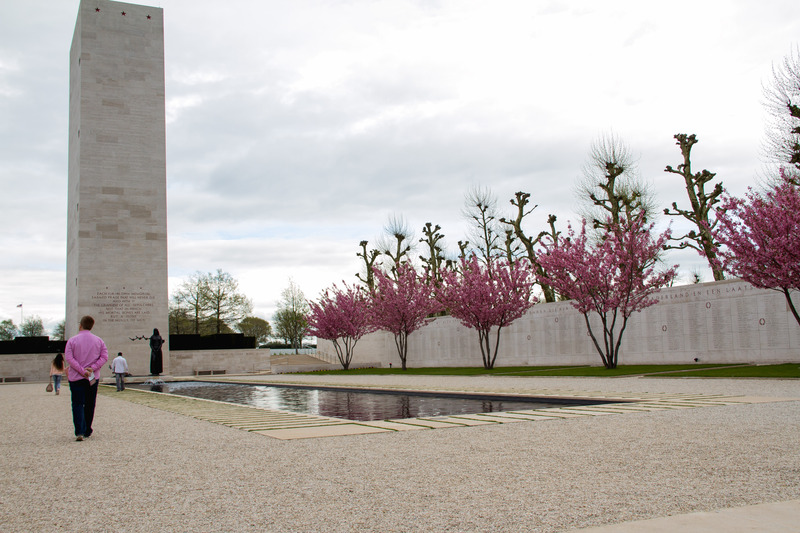 In addition, the names of over 1,700 American soldiers who were missing are honored here. It was definitely a humbling memorial, and it was very nicely done. We saw many, many Iowans both in the missing list and on the cross headstones. It was an emotional visit. 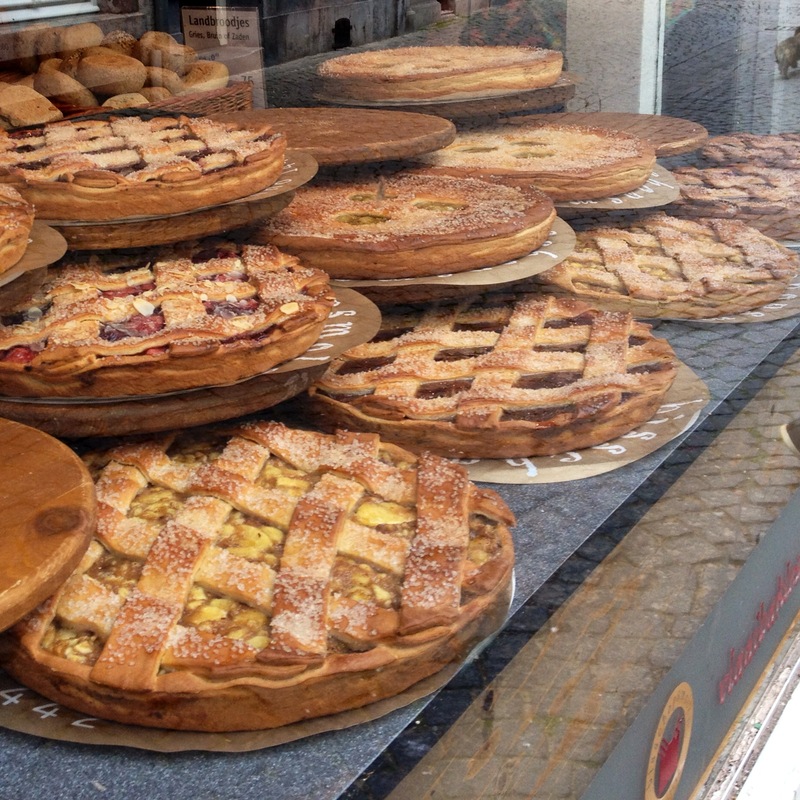 This is probably a good warm-up for our Normandy trip this summer. 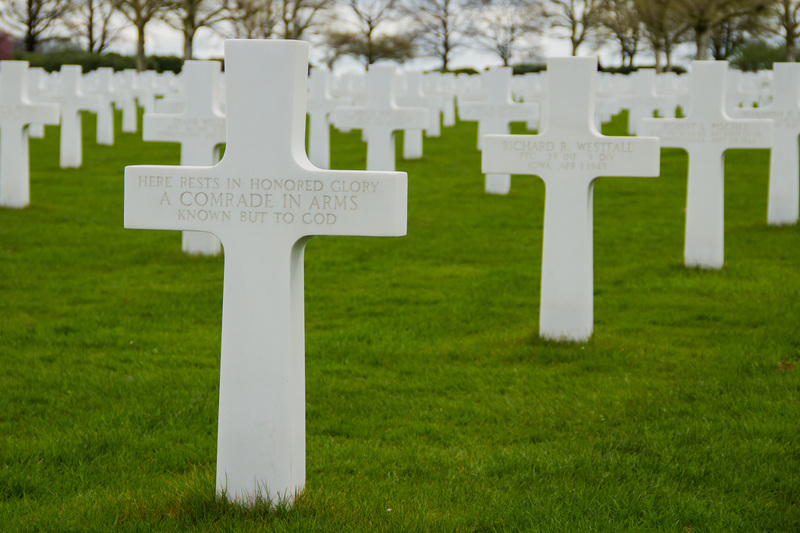 I read online that some of the local residents have “adopted” a soldier, and they visit regularly to bring flowers or just remember those who are buried here. Here are a few shots to give you a feel. 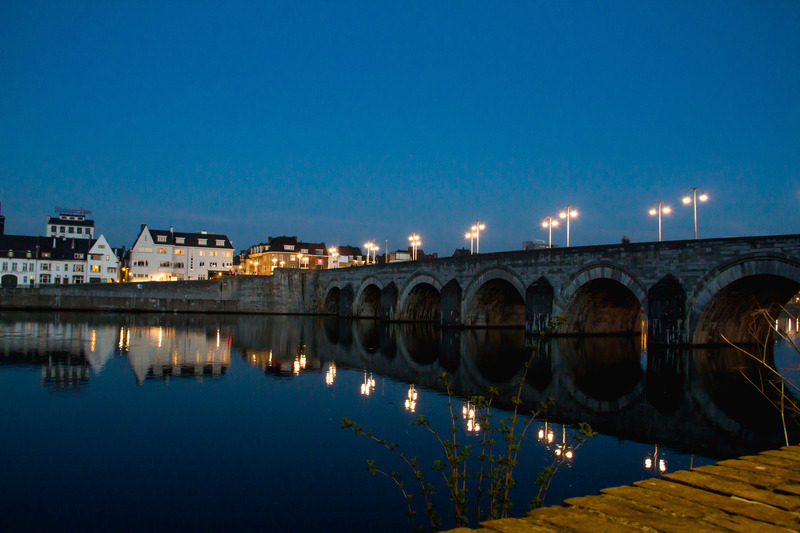 A reflection pond – the walls list all of the names of the missing. An unbelievable amount of crosses (and stars of David). 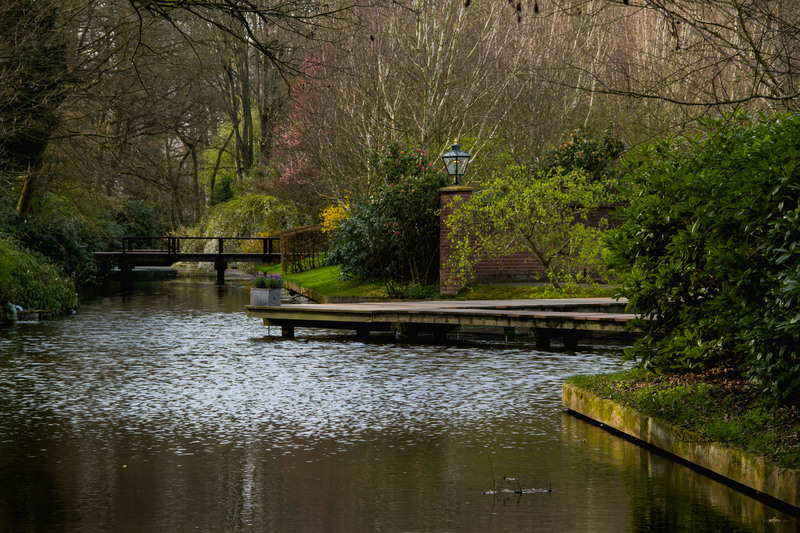 It was actually a very serene setting. 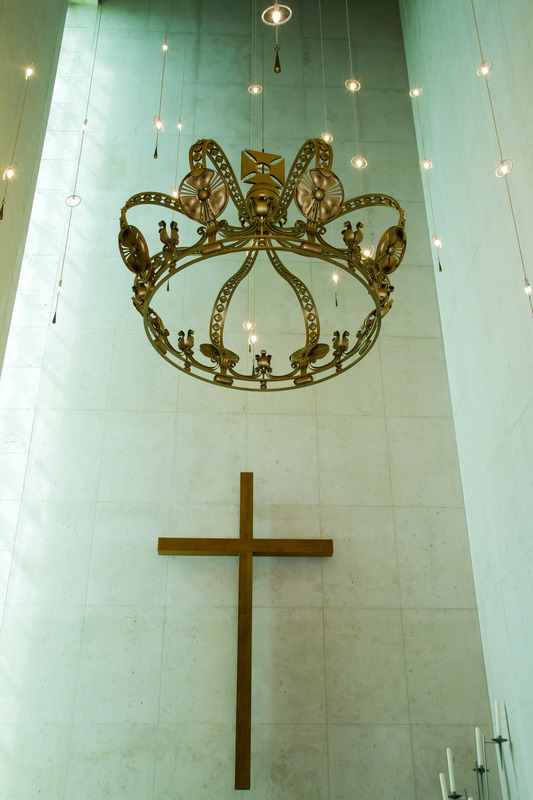 Inside the memorial chapel with the Dutch royal crown. 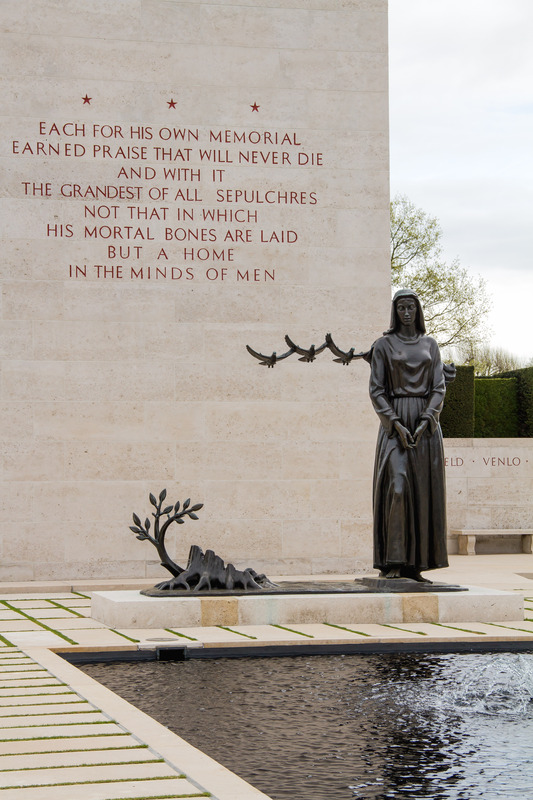 A statue of a weeping woman, three doves and a regrowing tree. This past weekend, we crossed off another to-do that was high at the top of the list! 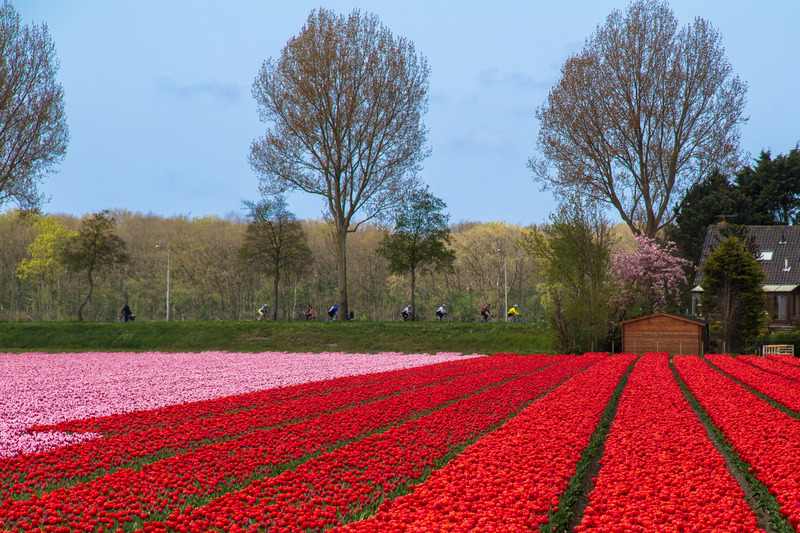 We took a bike ride through the tulip bulb fields!!! 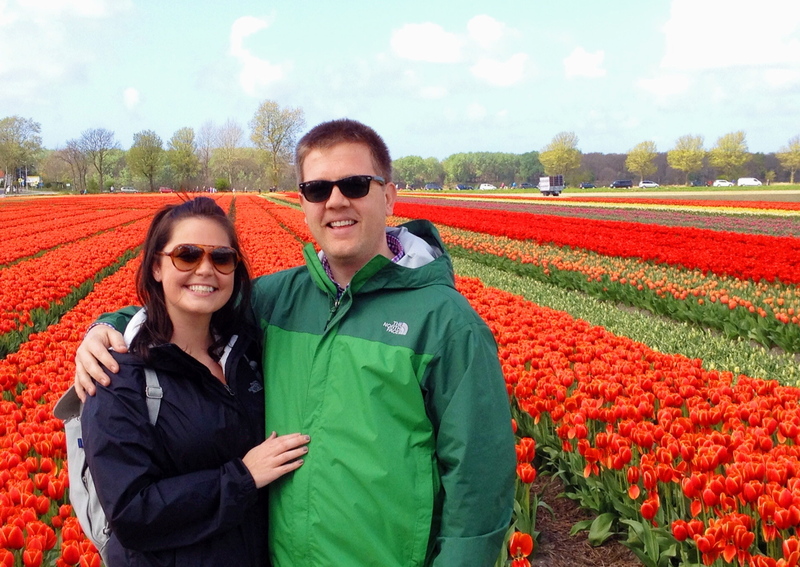 It was a really fun activity that is a MUST do if you are in Holland this time of year. 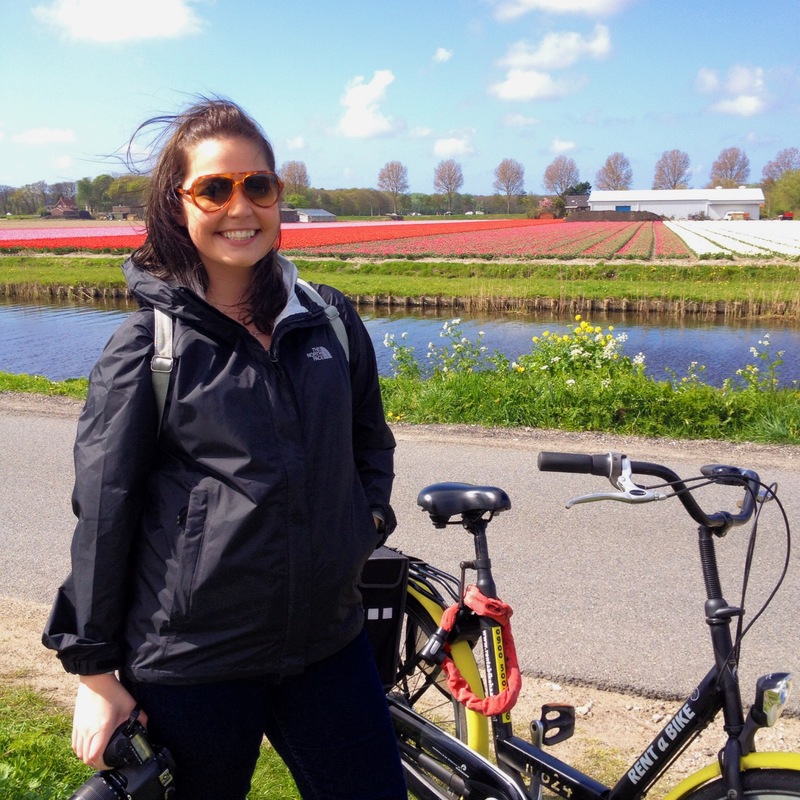 We drove to the city of Haarlem and rented bikes. 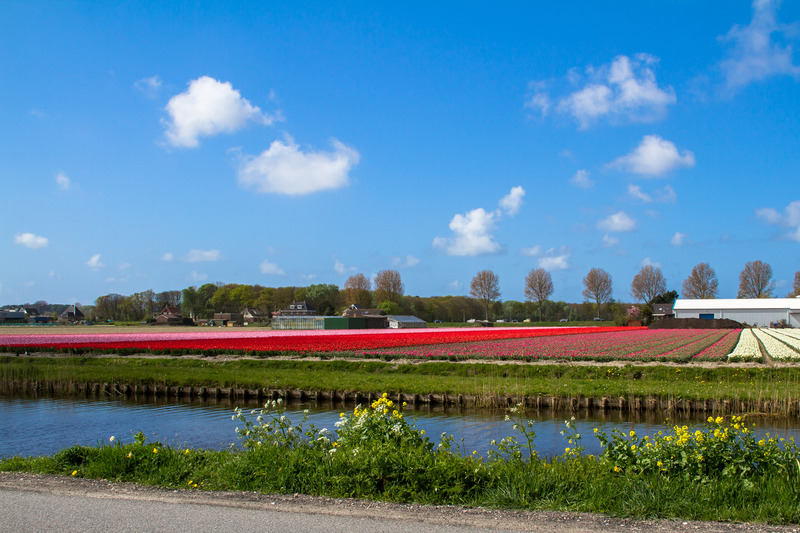 I had read on their website that you were out of the city and into the bulb growing region in around 15 minutes… However, the worker at the rental shop informed us that it would be an hour ride to the first fields…AN HOUR! I was immediately doubting this idea, but it turned out to be a great ride. 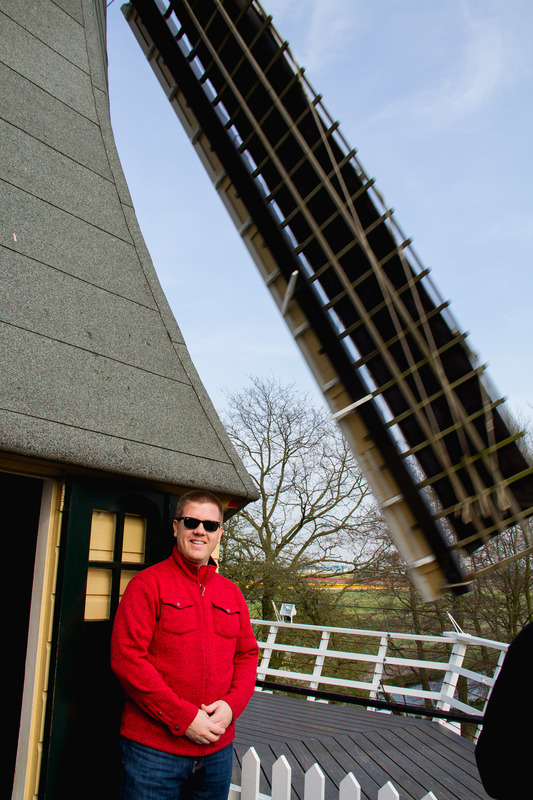 It was definitely windy, but it was definitely more bearable then the Texel ride!! 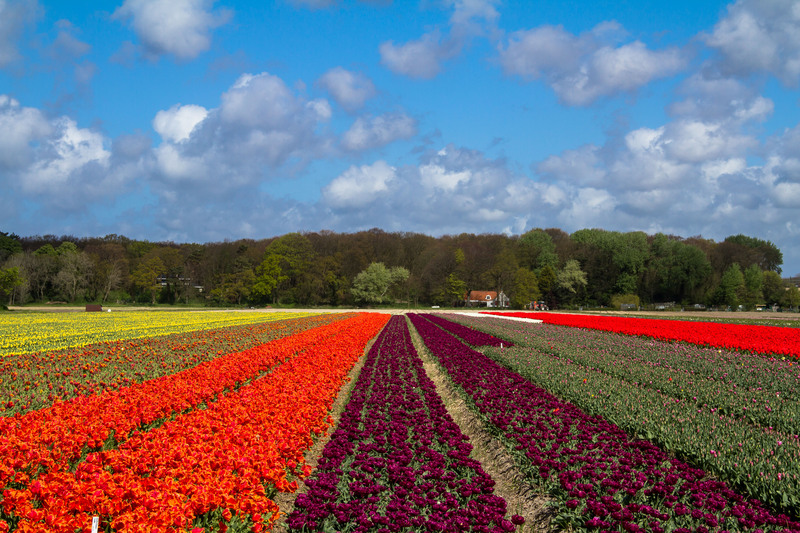 We had also packed a little picnic, so we just took our time soaking in the five amazing fields that we came across. We decided not to go further given the 1-hour+ return ride. I think we are going to try to do this again coming from the South instead of the North soon. Here are a few photos to give you an idea of how cool it was! 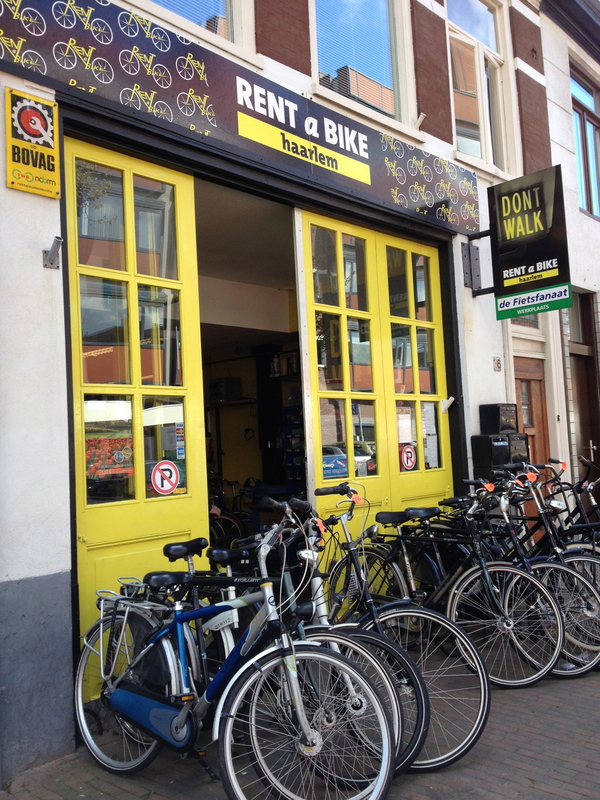 “Rent a Bike” – great name. 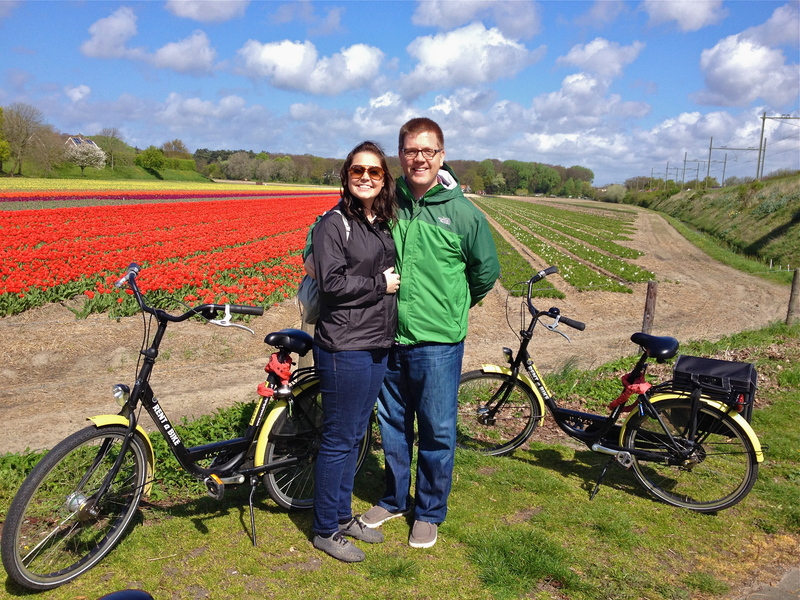 Us + bikes + flowers = great day! 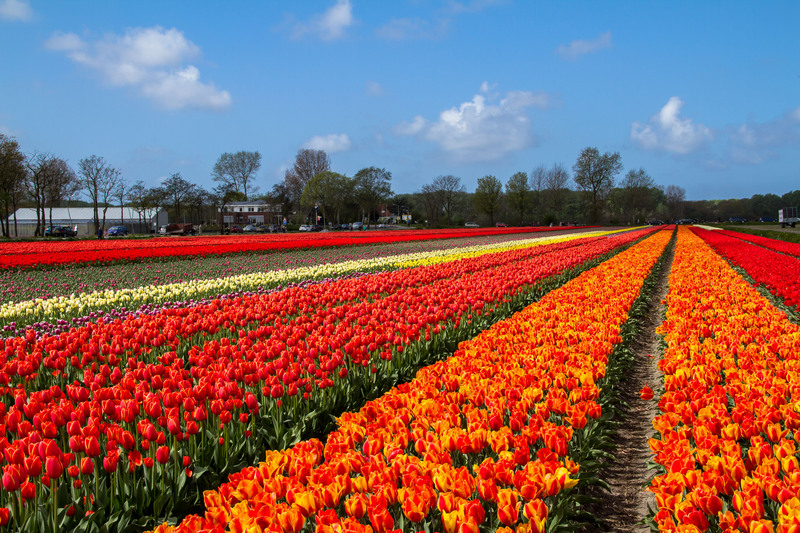 Field #2 – this was the best one! Putting those pano skills to use. 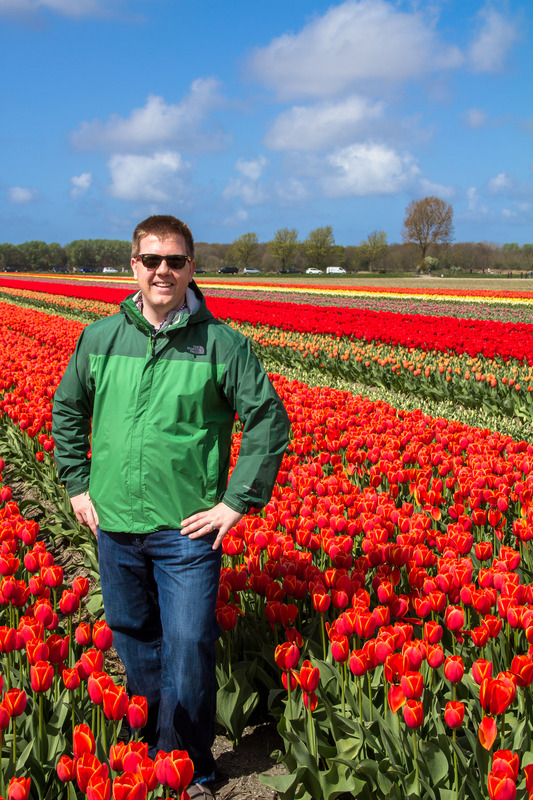 Standing in a tulip field – bucket list…check! 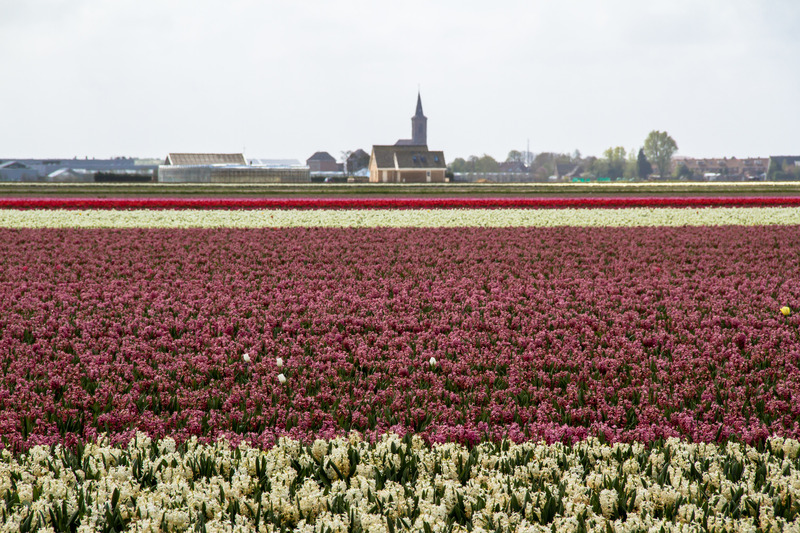 A non-tulip field – still beautiful! 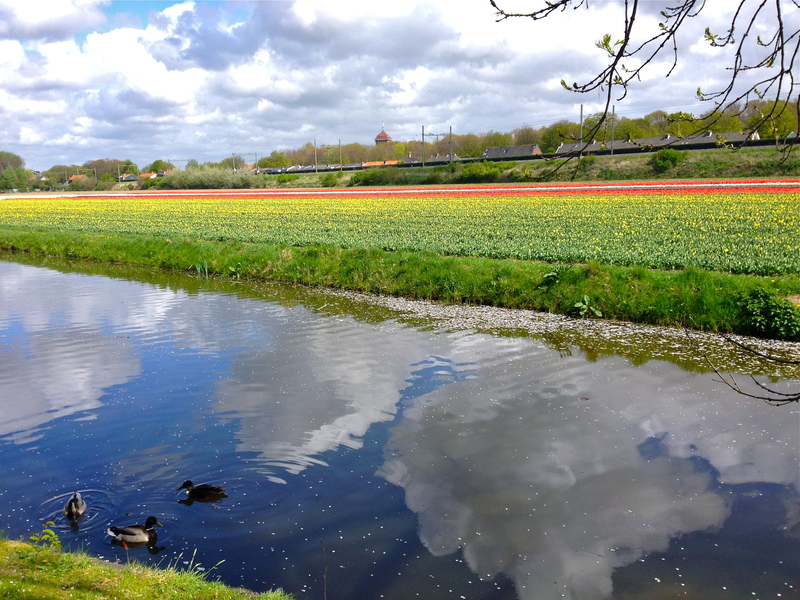 The ducks were taking in the sights too. Me & my bike at a quick photo/sandwich pit stop. A few bikes in the back, of course. Oh man – what a great time. Did I mention that I have some serious pains from being on a bike seat for like 3 hours?! 🙂 It was worth it. 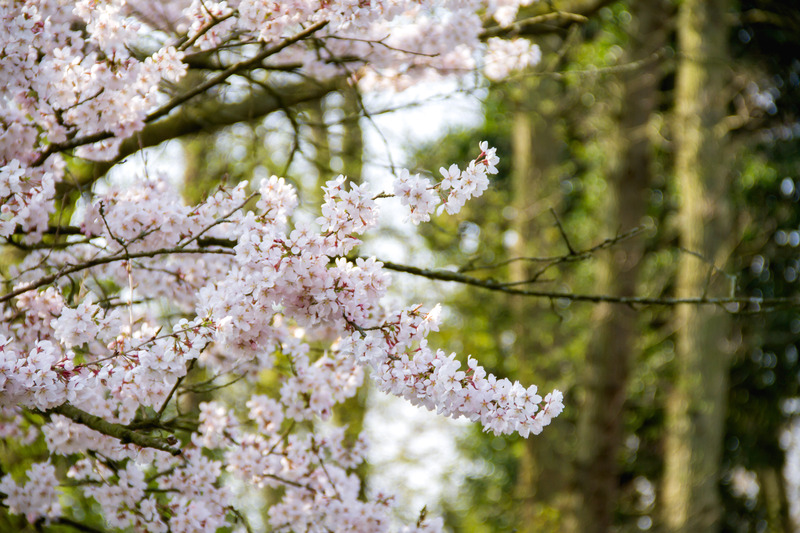 I want to wish everyone a great Easter weekend. We are going to be spending our time in Barcelona, so watch for an update on that. Also – Happy Early Birthday to my big bro, Dustin! 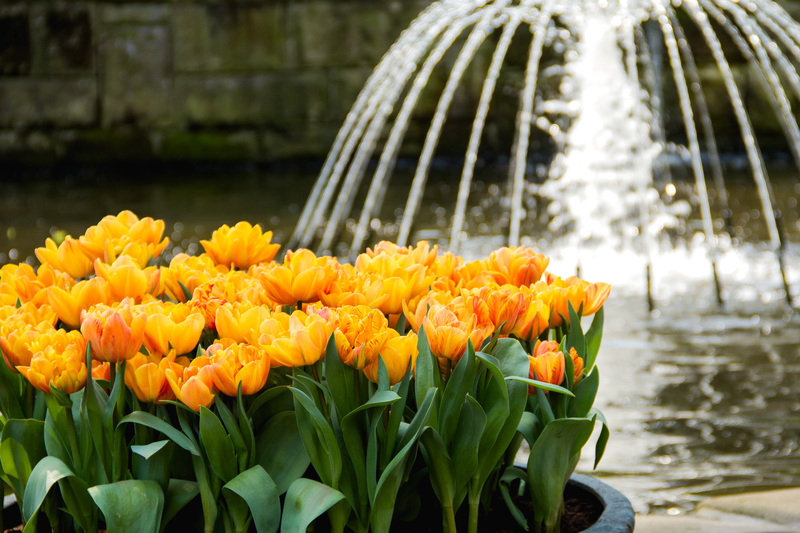 Hope it is a great day for you!! 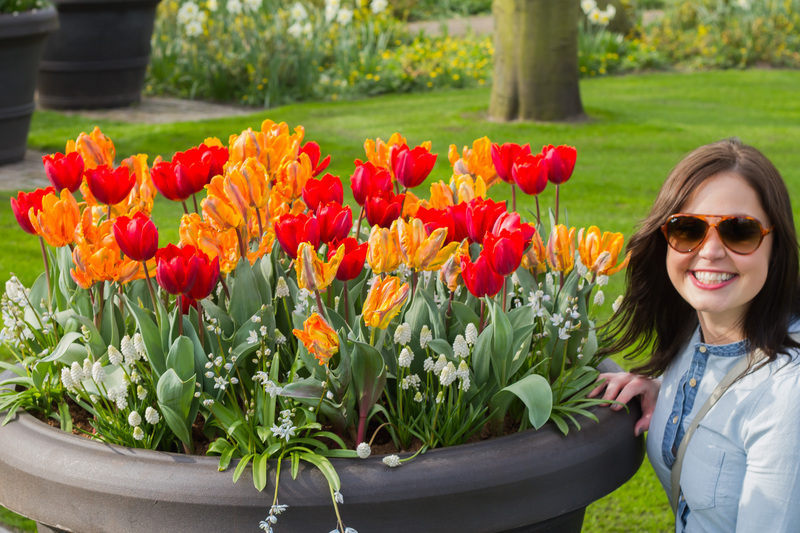 My nose got plugged just looking at all those flowers! But they are beautiful!